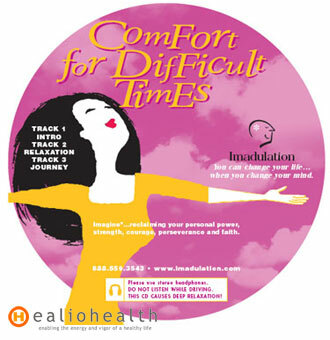 This guided imagery relaxation cd offers a state of relaxation, peace and comfort during challenging times. Sometimes during times of hardship and challenge we temporarily forget that we have resources and we lose touch with our strength, courage and faith. With this guided meditation cd, you will re-experience the qualities and characteristics that help you make it through the tough times.